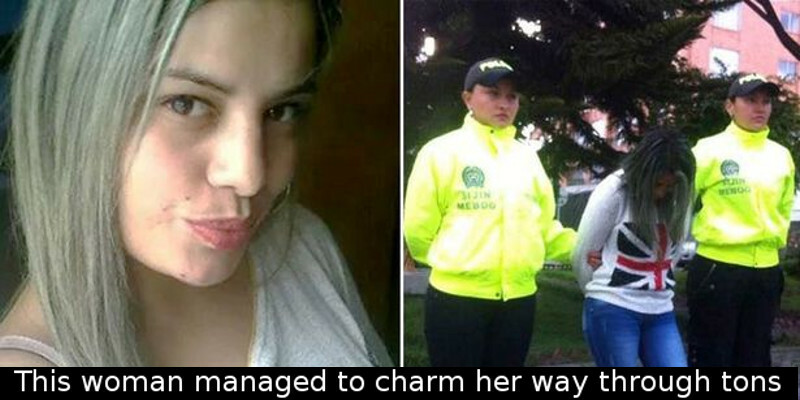 When Andrea Torres, an attractive 28 year old woman from Colombia, was only 17 years old, she tried to become a pickpocket. It didn’t end well and she got arrested. During the time she spent in jail she learned that her looks might serve her better in her illegal career than her slow hands. 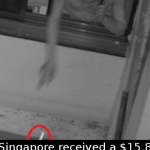 She slowly started charming her way through security guards and doormen in order to break into people’s homes by claiming she either lived in their buildings or was somebody’s girlfriend. The 28 year old woman is responsible for burgling 300 apartments and houses all across the Suba area of Bogota, Colombia. According to official reports, Torres and a couple of accomplices broke locks, lied to security and managed to successfully raid hundreds of homes; and she would have got away with it if she hadn’t tried to flee the country. The reports claim that the woman, who was extremely active on social media, was arrested by the police shortly after she applied for a visa for Germany, where she would have probably continued her life of crime. The Colombian police stated that they had no idea what Torres had been up to ever since her very first arrest 11 years ago. Next article Jerry Gretzinger has been drawing a map of an imaginary world for over 50 years. 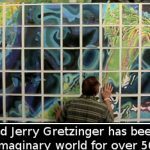 Jerry Gretzinger has been drawing a map of an imaginary world for over 50 years.